Minibus hire in Madrid – by minibus – bus transportation, we offer incredible prices on transport services bus and minibus in Madrid. 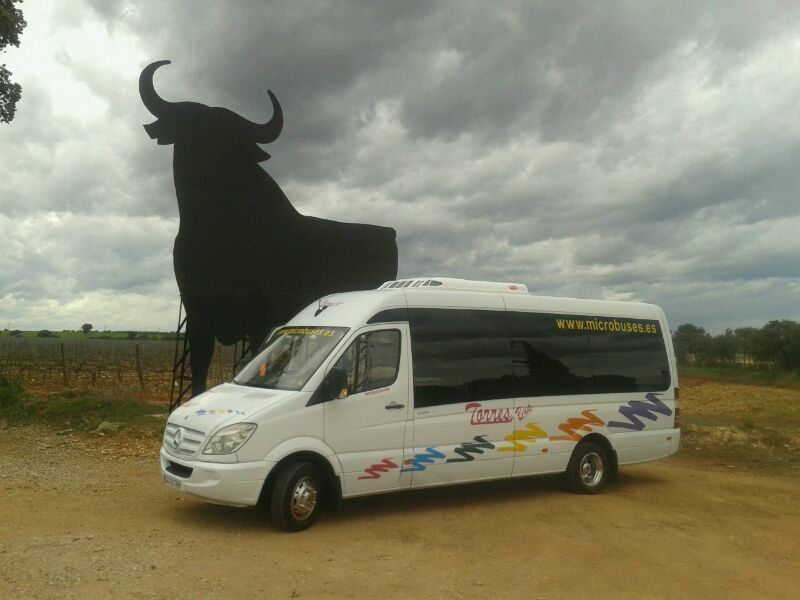 We have availability of minibuses and buses in Madrid and Toeldoque can accommodate all seats for transport services by minibus or bus to perform in Madrid and Toledo – Spain. Our drivers are very experienced professional and friendly, giving passengers a first class service. 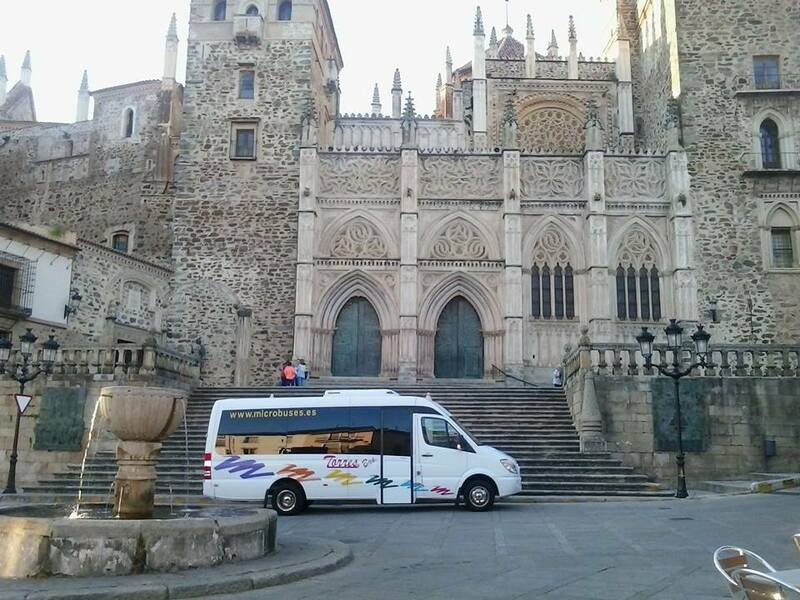 We strive to offer our passengers and gentlemen customers the best economic and market quality on offer minibus hire in Madrid and Toledo, we are one of the transport companies minibus or bus industry leader in Madrid and Toledo. With over 50 years of experience in the transport industry people – rental minibus in Madrid Torresbus has created a professional service for all types of transportation solutions. Transfers, Corporate Services Conference / Seminar shuttles, airport transfers and many more – in Torresbus have a solution. Not only do we specialize in travel, transfers to group companies, family trips I friends to go to a football game, a concert or just your favorite entertainment nightspots. We also do tours and wine gourmet experience with minibus rental in Madrid Torresbus will pick you up at home (agreed point) and will be selected locations restaurants, wineries, Cottage, Nightclubs, Pub, etc. Enjoy visiting Madrid – Toledo attractions nearby, such as monuments, museums, streets, the mountains of Madrid, the Manzanares River, Rio Tajo, Paque Warner, Madrid Rio, Amusement Park, the Zoo or any other place you want . Let little guidance in preparing their travel in the choice of the minibus or appropriate bus and take you to the most beautiful places in Madrid or Toledo your choice, if you need help, our experienced staff will be more than happy to help you prepare a itinerary or travel route for you and your friends or family. In Torresbus we would gladly welcome you at the airport or train station (Ave) and take you to the hotel or apartment where you are staying. Weddings are also an important part to try on our menu of services. Our friendly, competent drivers would be more than happy to do their service minibus or bus for weddings, Les collect at one point (Hotel, House, etc) took them to the ceremony (Church Cathedral) we transfer guests to the restaurant elgido and we make the returns that you had hired the restaurant to the place of origin, home or hotel. We can also bring all your family and friends home at the end of the special day … even if it is in the morning or evening.